Welcome home! 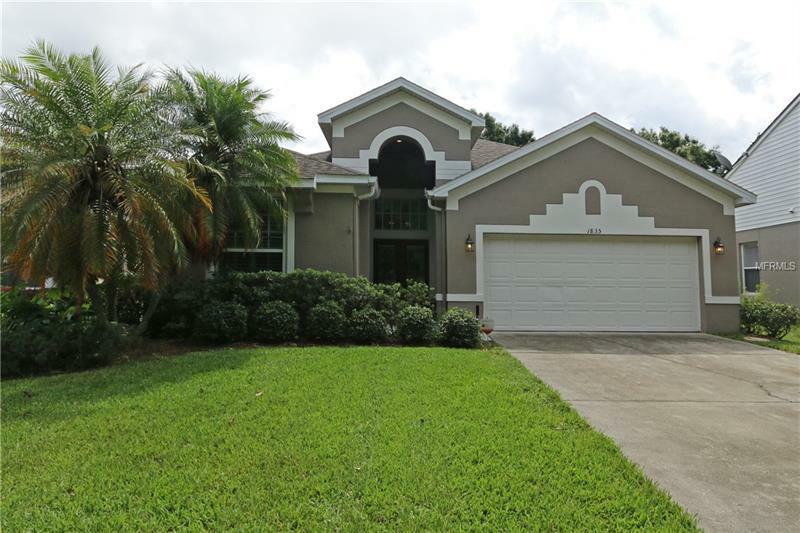 This stunning 3 bedroom 2 bath home is located in the Ashbury Park community, just minutes to Downtown Orlando. When entering the home you are greeted by volume ceilings and a great open concept floor plan. To the left you will find two large bedrooms and a bathroom. In the main living space you have a beautiful dinning room overlooking the living room and picture perfect backyard. Through the sliding glass doors you enter the spacious screened in patio with plenty of room for entertaining while enjoying the views of the lush, shaded and fully fenced in backyard. To the right of the main living space you have the impressive updated kitchen featuring new cabinets with soft close drawers, granite countertops, stainless steel appliances and a large eat in kitchen area. The master retreat features a walk in closet, fully updated master bathroom with a seperate garden tub, shower, and double vanity. Additional features include; plantation shutters throughout, an indoor laundry room, double pane windows, an alarm system, newer roof (2-3 years old), exterior paint (2016), a local community pool and much more! Schedule your showing today, this home will not last!